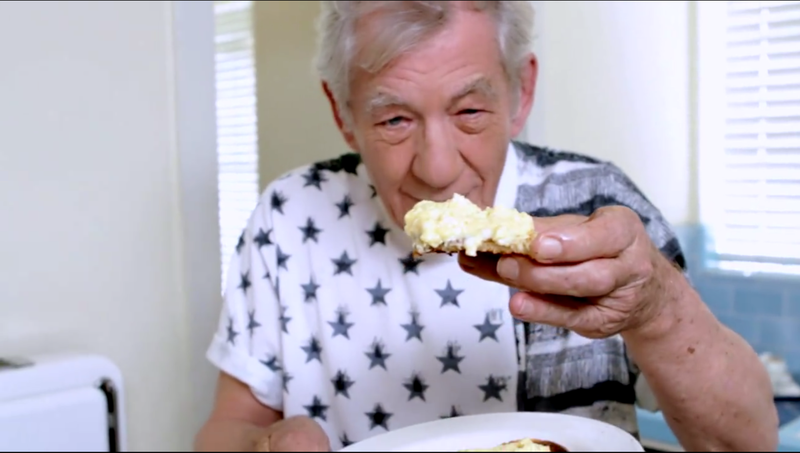 Celebrated actor, knight, wizard, mutant and all around cool guy Ian McKellan has some mighty strong opinions about how to make scrambled eggs correctly. So, in a video posted to his Facebook page yesterday, he’s here to teach you how to do it right. Ian McKellen’s Scrambled Eggs on Toast“Live from Chateau Marmont in Hollywood,” I scramble up the best eggs in the world for my Facebook followers, to celebrate the success of my new film “Mr. Holmes”. Gandalf insists on cracking the eggs right into a sauce pan, adding some designated milk fats and scrambling the eggs slowly to achieve perfect consistency — therein lies the magic. As an avid practitioner of this method for more than a year now, I will vouch for him: they’re dang good.